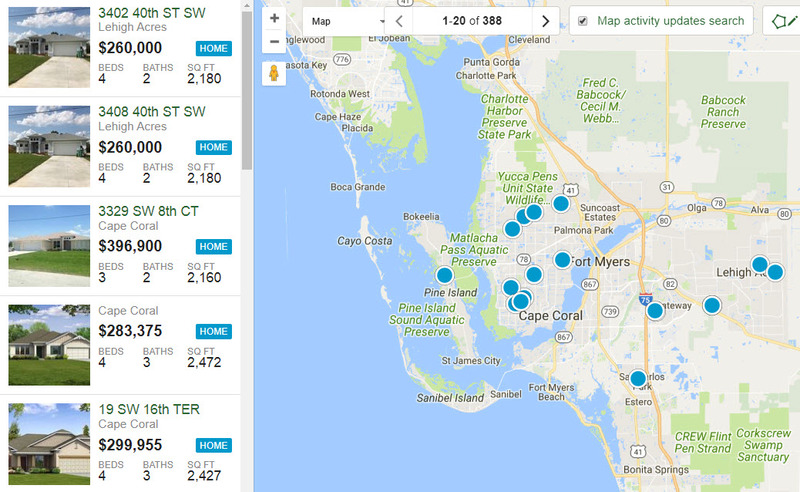 Sit back, relax and start searching for homes for sale in Alva, LaBelle, Fort Myers, Cape Coral, Lehigh Acres and Naples FL for your next home right here in sunny S.W. Florida. Welcome to SunriseRealtyNetwork.com. Sunrise Realty Network is a full service real estate brokerage that specializes in residential real estate sales and purchases of homes, condos, new homes, real estate investments, land/acreage and bank owned foreclosures/HUD Homes. New & Pre-Construction Homes & Condos Quick Searc Links for Lee County, FL. Our agents are experienced in working with buyers and sellers in the Alva, Bonita Springs, Cape Coral, Estero, Fort Myers, Ft. Myers Beach, Golden Gate, LaBelle, Lehigh Acres, North Fort Myers, Marco Island, Naples, Pine Island and Sanibel Island communities in S.W. Florida. Let our expertise go to work for you!